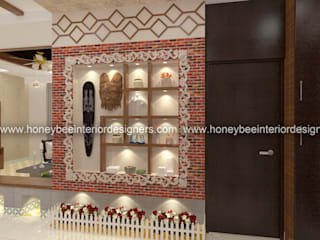 Established in 2006 honeybee Interior designers was founded by Mr. Joy Mathew Mendonce in Hyderabad and later expanded to Bangalore with Ms. Manisha Juneja. 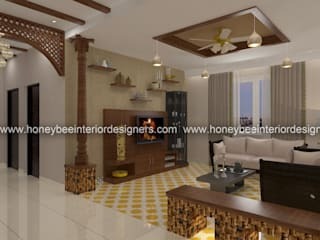 Operating in Bangalore and Hyderabad, Honeybee Interior Designers specialize in space optimization and the optimal use of colour and lighting to bring together each room in your house and the people it's intended. 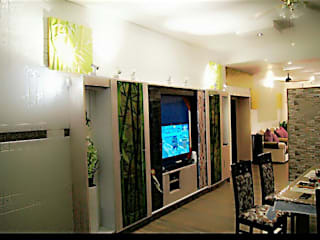 We work on houses of all sizes but never compromise on quality. 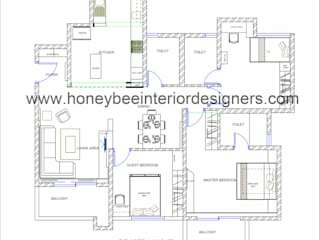 We can ofcourse manage the project from start to finish and cater to projects of all scale and scope but Honeybee particularly specializes in handling premium Villas and Apartments. 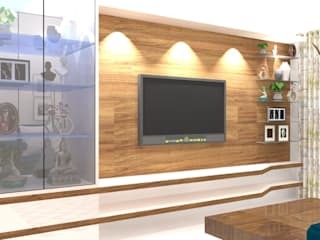 We try to discover your personality and break down walls if needed to get the perfect open living area that you were always after, we will ensure that you get a design that looks aesthetically pleasing and also feels like a part of you. 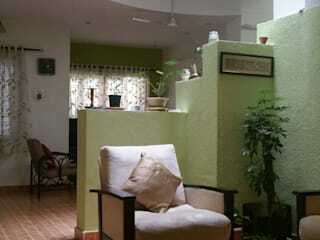 We understand that imagining and creating a home interior is not easy, and that is exactly why we are here to help you.Based on current trands we ensure the choice of designs, materials as well as best practices in the company.We ensure ethical and professional approach irrespective of the scale of the client's requirements, with a focus always being on minimal turnaround time while ensuring the best output and consequently well satisfied clients. Near wipro corporate office. Sarjapur Road. "I will show you what he is like: he is like a man building a house, who dug deep and laid the foundation on the rock. And when a flood arose, the stream broke against that house and could not shake it, because it had been well built. But the one who hears and does not do them is like a man who built a house on the ground without a foundation. When the stream broke against it, immediately it fell, and the ruin of that house was great.” Luke 6:47-49. I am extremely satisfied as the man who builded his home on the rock. Thank you team honeybee. This exclusively designed 3 BHK apartment is by the team of Honeybee Interior Designers, interior designers and decorators in Bangalore. 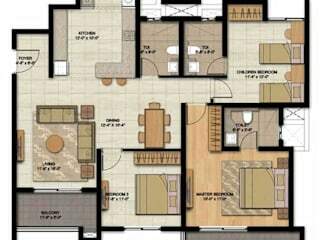 The spacious home is perfectly designed for a couple.